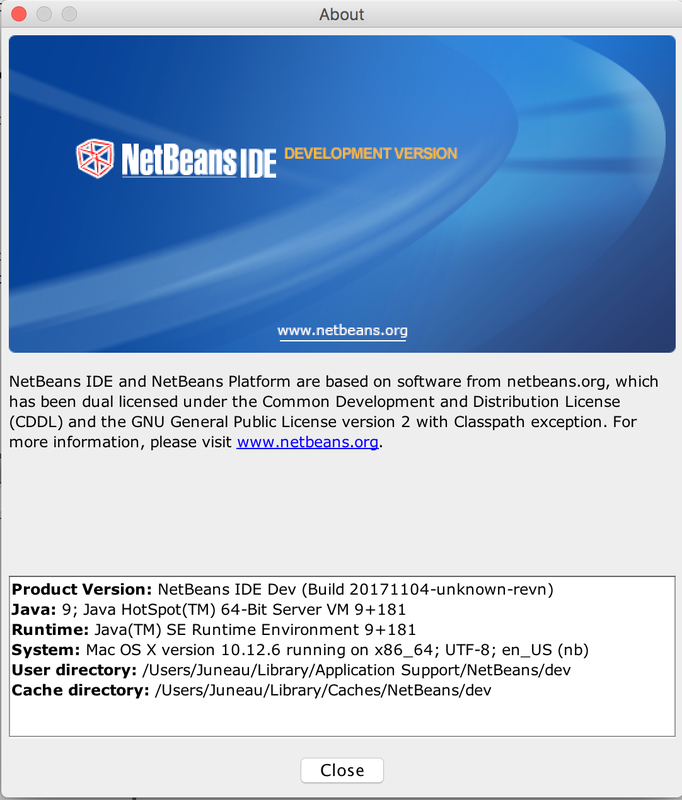 Here's a quick, easy way for you to build Apache NetBeans from nothing while also making use of your favorite Java 9 features. Once the build is complete, traverse into the nbbuild/netbeans directory to see the resulting IDE build. Run the IDE by invoking the executable or shell script contained within nbbuild/netbeans/bin.